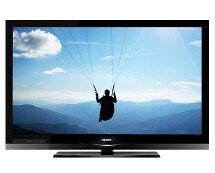 Watching TV in 2D is so 2011 so stop waiting and upgrade to 3D now. 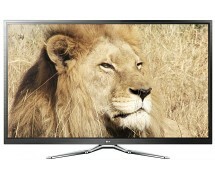 Amazon.co.uk helps you make the switch, rolling out an offer on the LG 42LW450U 42” 3D LED TV. 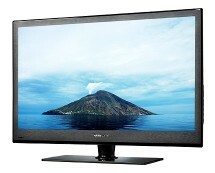 You get a massive 42” TV capable of displaying Full HD quality 3D content for a price of only £749.99. Do you also want fries with that? Because the 42LW450U is so slim the guys at LG had a hard time figuring out a way to squeeze all the content inside, when the solution finally hit them – they didn’t have to keep it all in. Meet the Cinema 3D technology, LG’s replication of the 3D technology used in cinemas to deliver realistic 3D images coming out of the screen, now present in your own living room with the LG 42LW450U TV. Combining a 42” screen with a 400 Hz motion engine and LED lighting with local dimming capabilities, this LG TV delivers an image quality that’s hard to match. The 3D experience is enhanced by LG’s choice of passive 3D technology, which is friendlier to the eyes and also more comfortable thanks to the lightweight 3D passive glasses. 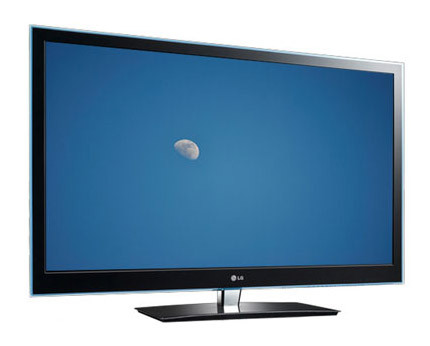 Speaking of glasses, you’ll be happy to find out that LG includes 7 pairs of 3D passive glasses with the LG 42LW450U. 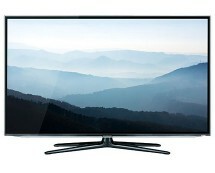 A downside of the LG 42LW450U is the lack of Internet connectivity, a feature you would expect to find in a £700+ TV, but it seems that LG focused so much on making sure the image quality is impeccable that it totally forgot about other features. Still, you have Internet on your PC and on your smartphone, why would you need it on your TV as well?